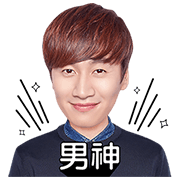 http://www.line-stickers.com/ – Lee Gwang-Su Special (Cantonese) Line Sticker | Let Lee Gwang-Suʹs funny expressions and these trendy Cantonese phrases make your chats even more fun! Friend the LINE Creators Market official account to get them. Available till April 14, 2015.